Dakota at Rainier Court gladly accepts City of Seattle Housing Authority Section 8 Vouchers, but do not offer direct subsidy for the units. We have income restricted rents for very low to low income households through the Washington State Housing Finance Tax Credit program. The rents for this property will be based on your annual income qualifying level and availability of units in your income level . Please call for details. 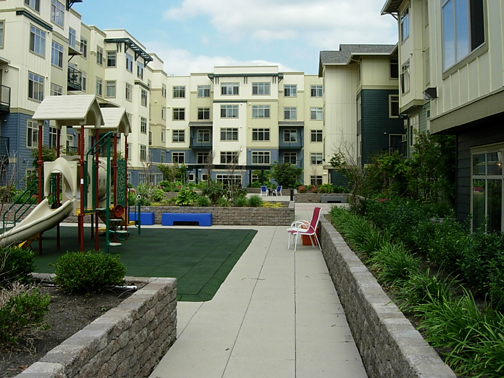 Newer Affordable Multi-Family Homes are available in the Rainier Valley/Mount Baker area. 1, 2 and 3 bedroom homes offer access controlled entry, 1 free parking space, some paid utilities, washer/dryer hook-up in all homes and several other on site amenities. Ask about any move in specials! This is a Non-smoking property. We are located next to Safeway grocery and many local and national Restaurants. Garaged Parking, Controlled Access Entry, Game Room, On-Site Management, All 2 Bedrooms have 2 Baths, Plenty of Storage, Large Floor plans & Fitness Center. Rental rates are based on The Washington State Low-income Housing Tax Credit affordable housing program (WSHFC)for 50% and 60% set asides. Garaged parking, Non-smoking, computer center, activities for children, media room, game room. bedrooms are townhouse style with over 1600 sq feet. Very large two bedroom also 1000+ sq ft. This property does not offer direct subsidy for the units but has income restricted rents affordable to low income households through the Washington State Housing Finance Tax Credit program. We also gladly accept Housing Authority provided Section 8 vouchers. Rents will vary between the amounts listed above. Please call for qualifying factors.